Designed to provide the best possible heat protection in areas where high-temperatures are always present and problematic. At only 3/16 in. thick, this product can be shaped and trimmed for a custom fit and is ideal for minimal clearance areas. Constructed with an embossed 10 mil. aluminum face bonded to 1/8 in. 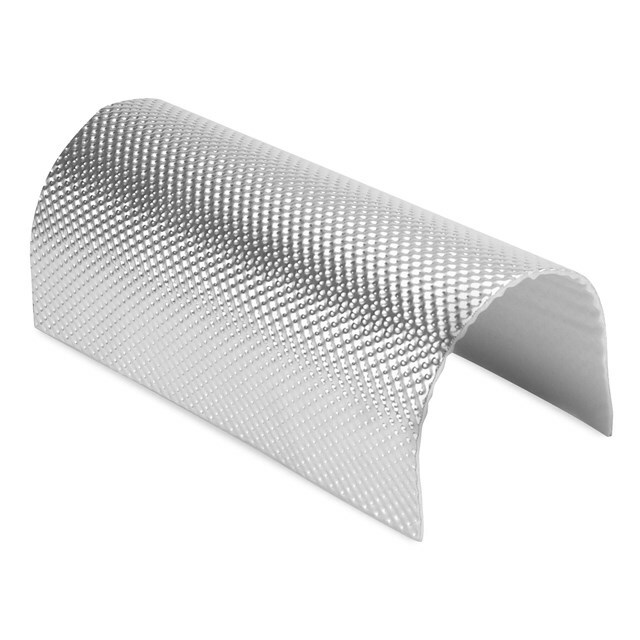 composite glass-fiber mat core and backed with a high-temperature, pressure-sensitive backing, its improved multifaceted modern aluminum surface offers improved reflectivity and rigidity and allows for ease of installation. DEI Extreme Heat Barrier is the easiest, most cost effective way to control thermal transfer while protecting expensive components and vehicle occupants from extreme heat situations and sound.